A ready-to-use enzymatic cleanser for pre-cleaning surgical instruments and scopes. The thick foam effectively covers instruments and scopes, keeping them moist while digesting blood, tissue, mucous and other protein-rich body fluids. 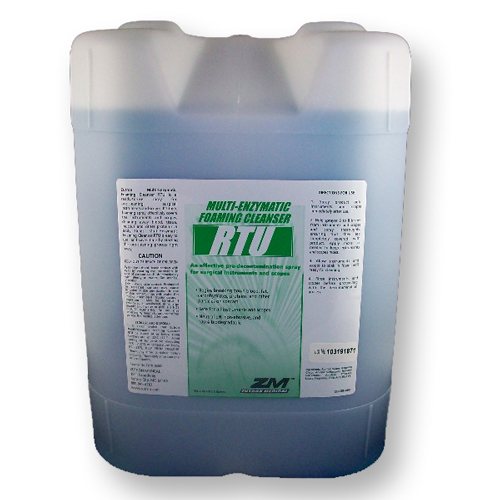 Zutron's Multi-Enzymatic Foaming Cleanser RTU is easy to use, has a neutral PH, is non-abrasive and 100% biodegradable. It saves time by starting the pre-cleaning process right away.